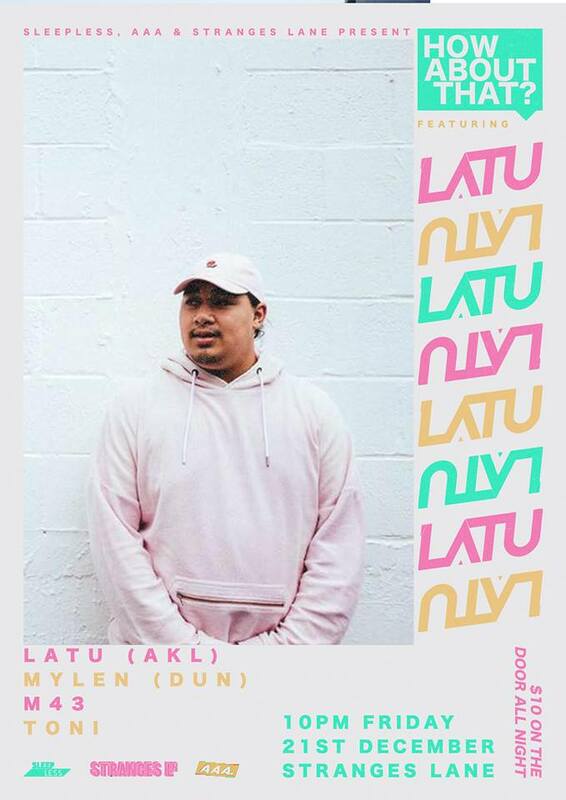 For our very first party we’re bringing NZ bass music legend LATU down from the big smoke to come party with us! We’re some locals who love bass music and thought we’d start a monthly party in conjunction with Stranges Lane to bring some bass music as well as some party back to Christchurch. Over the course of a party you can expect to hear all aspects of bass music ranging from Bass house, Trap, Dubstep, a little Drum and Bass as well as soo much more.